With the organization assurance to offer quality pipe fittings, we are providing a reliable range of Alloy Steel Fittings at the most comprehensive range of prices. 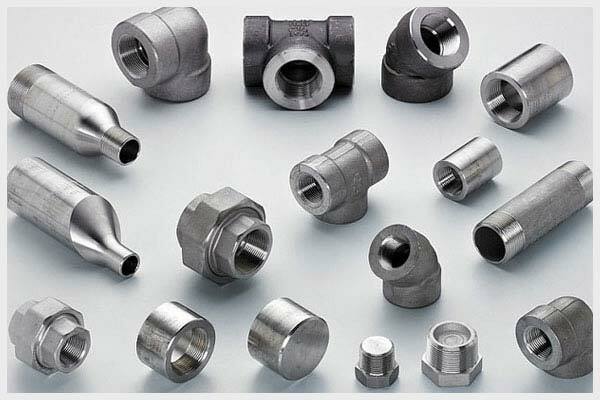 We are considered to be a foremost organization engaged in manufacturing the Alloy Steel Fittings that are made accessible in diverse sizes. These offered fittings are hugely used in various industries such as Chemical, Paper, Oil & Natural gas, Cement and Petrochemical industries. These are also used in pumps, ship building, fats & fertilizers, and sugar mills & distilleries. Reliable experts, who ensure to utilize high grade raw material and innovative techniques, make the offered range of Alloy steel fittings. Our range undergoes raw material testing, dimensional inspection, hydro test, vibration test, pneumatic gas test, helium gas test, pressure cycle test and temperature test to maintain quality.